In her free time Adrianne loves working and competing with her dogs in a variety of sports. She and her dogs hold multiple titles as well as multi national championships and several worldwide invites with dock diving sports. Her competitive sport interests focus in IPO, formally known as schutzhund, but she loves the variety and will try any sport. She and her dogs have competed in flyball, agility, obedience, barn hunts, and more. Chili Brigades Aldo - "Backup"
We at Harmony Canine Training believe that an active lifestyle and competitive dog training should be fun and family friendly. We employ dog and handler friendly, science based training. Our goals are always a team in Harmony. While Denis started his career in field Labradors he’s quickly became passionate about bitesports. 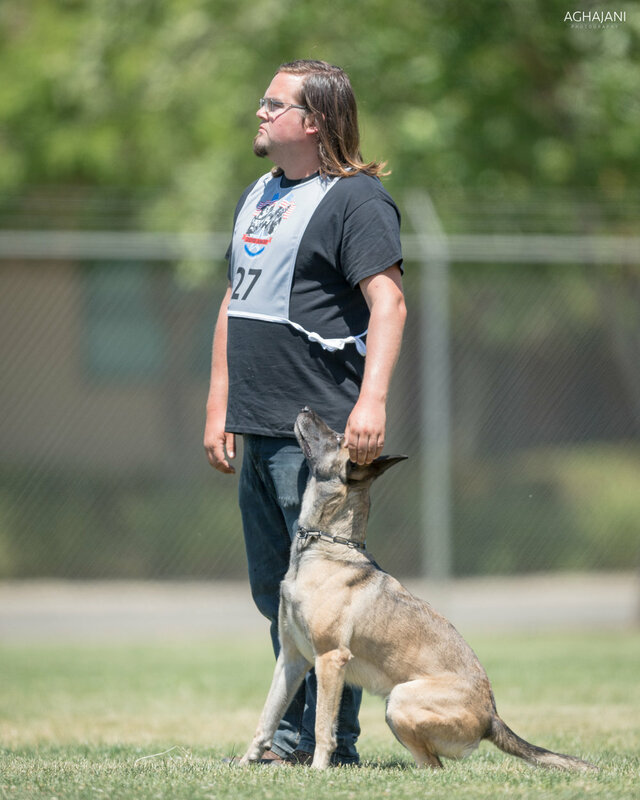 Denis is a certified regional helper and runs a club of 30+ dogs, regularly prepping his dogs for championship events. He is a certified helper for DVG and USCA making him not only skilled in training work but also trial work. In addition to bitework Denis’ second passion lives in tracking, his spotting and problem solving skills are priceless. Chili Brigades Bad Company - "Brover"